The miriac SBC-LS1043A Single Board Computer is a NXP QorIQ™ LS1043A quad core ARM Cortex A53 based complete system solution by MicroSys. 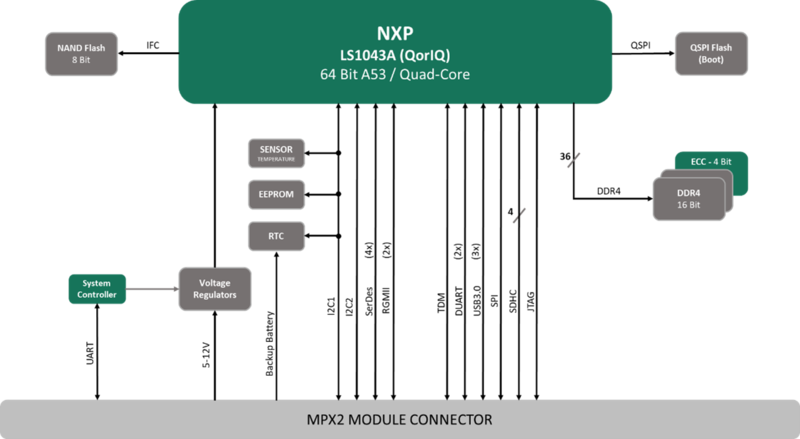 NXP´s LS1043A and LS1023A (two cores) CPUs deliver great-er than 10 Gbps of performance in a flexible I/O pack-age supporting fanless designs. This SoCs are purpose-built solutions for small-form-factor networking and industrial applications with BOM optimizations for economic low layer PCB, lower cost power supply and single clock design. ● All on board supply voltages are monitored by a separate µ-controller.